Finally the government has given relief to its employees. The much awaited ‘hiked salary’ recommended by the 7th Pay Commission will be implemented from August 2016. The revised pay will be seen in the August salaries. The Union government has released the official notification regarding the implementation of the revised pay scale. 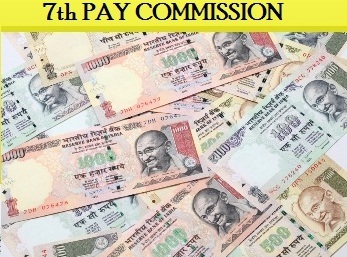 The Cabinet has approved the recommendation of the 7th Pay Commission. The revised pay scale will be effective from January 2016. Government employees will receive the arrears in the FY 2016-17. With the implementation of the recommended revised pay scale the expenditure of the government is likely to soar by 1.02 lakh crore. It would also affect the GDP. The minimum salary would be Rs 18000 and the maximum would be Rs 250000. On 29 June, the Cabinet gave its consent on the recommendations given by the 7th Pay Commission. One of the most desirous of all the recommendations was the hike of 23.55% basic salary of all government servants. Though the government had given a positive nod for all the recommendations, suggestions has been referred to a Committee headed by Finance Secretary regarding the rates of the allowances. Till any decision is reached final, most probably in 4 months, allowances will be paid in the existing rates. The implementation of the new pay scale will benefit over 47 lakh central government employees and 53 lakh pensioners. The military service pay rate has also been increased for various categories of Defence Forces. Other benefits include increase in the housing loan allowance, increase in the minimum pension, doubling of gratuity ceiling, etc. The rate of annual increment has been retained at 3 per cent.